When I first came to Playa Del Carmen, I was lounging on the beach thinking that I’d found paradise. People would tell me about Cozumel, but I always ignored them. If I wasn’t going to leave Playa Del Carmen to visit my mother at thanksgiving, I wasn’t going to leave Playa Del Carmen for some nearby island. One day I decided to take the ferry and see what the fuss was about. 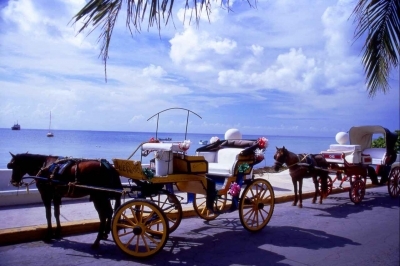 There were two versions of paradise – Playa Del Carmen and Cozumel. Now I was confused, although I’ll admit that it doesn’t take much to confuse me. Playa Del Carmen is still my home. But now I head over to Cozumel once in a while. It makes for an amazing day-long excursion. 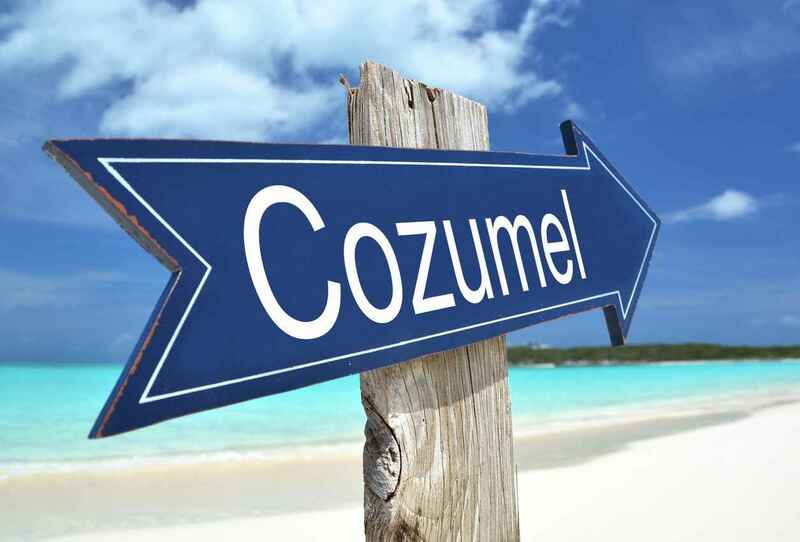 Where And What Is Cozumel? Cozumel is the island just off the coast from Playa Del Carmen. On a clear day you can make out the outline of it from Playa Del Carmen – specifically, the high-rise hotels and resorts. It’s a flat island and its name is taken from what the Mayans used to call it. 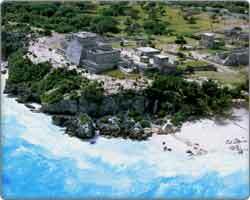 The Mayans are believed to have lived on Cozumel since the 7th century. 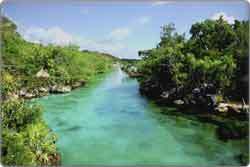 It was a sacred island for the Mayan Moon Goddess who was called Ix Chel. If you were a Mayan women and wanted to have a baby you would have made a pilgrimage to one of the Moon Goddess’s temples on Cozumel. 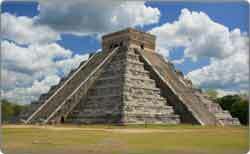 But after the Spanish brought guns and smallpox, the Mayan settlements disappeared. 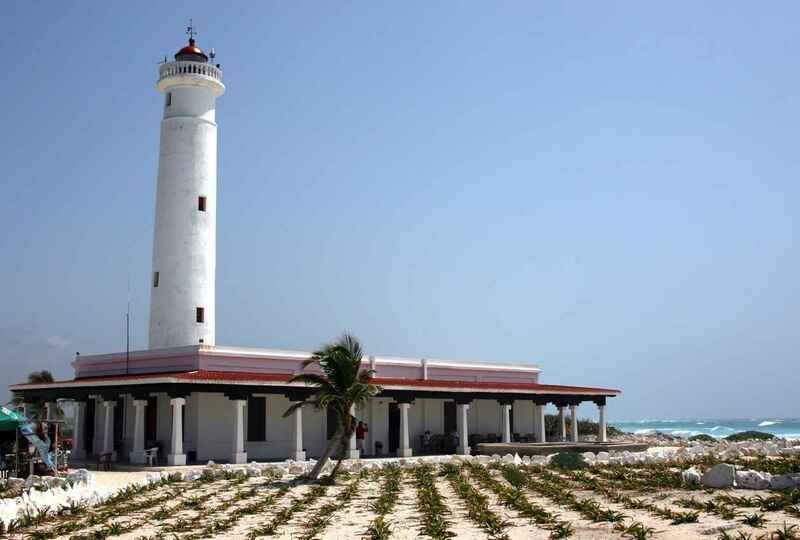 Then in 1861 President Lincoln tried to buy Cozumel as a place to relocate freed slaves. Enough History Rufus. 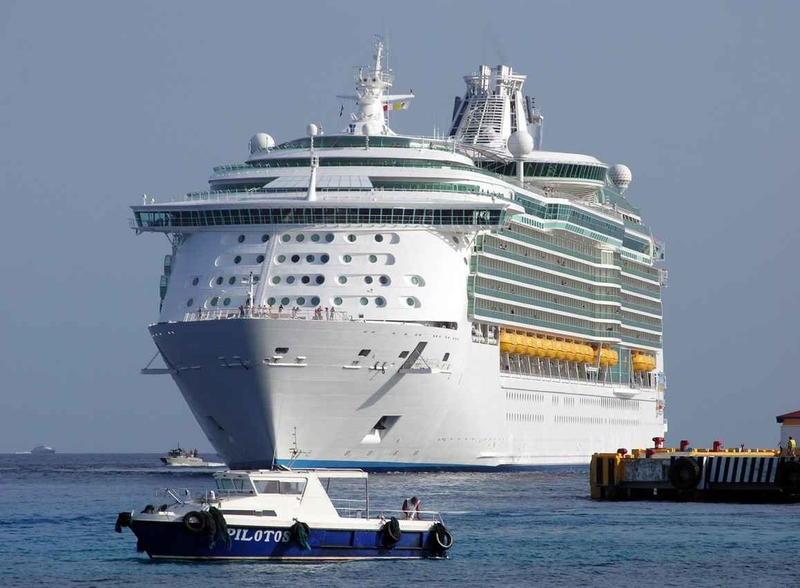 What Happens On Cozumel Today? Cozumel is now an island geared up for tourism. It has stunning beaches, amazing scuba diving, and some cute seaside towns. 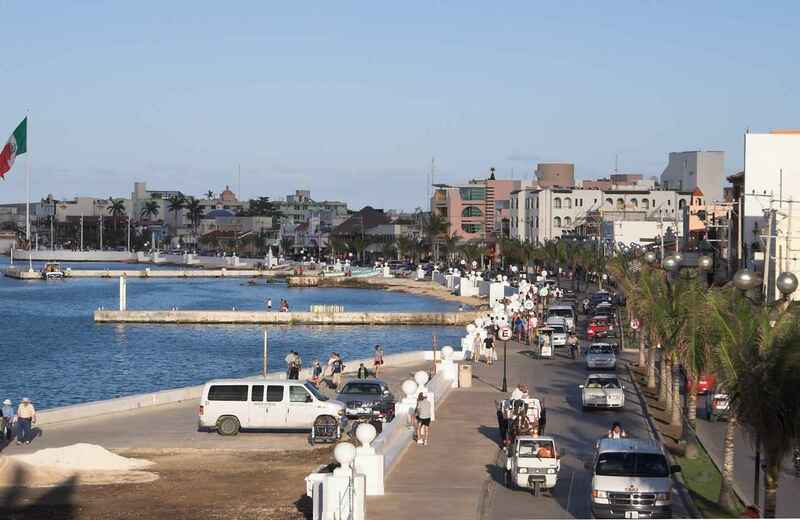 It’s just a 45-minute ferry ride from Playa Del Carmen. And there are a lot of bars and restaurants to enjoy on the island. The ferry docks in San Miguel, which is the only town on the island. From here you can take a taxi around the island, walk, or rent a car or scooter. Parts of the coastline are owned by resorts and attractions, and you’ll have to pay an entrance to use the beach. Other areas are public and free for everyone. 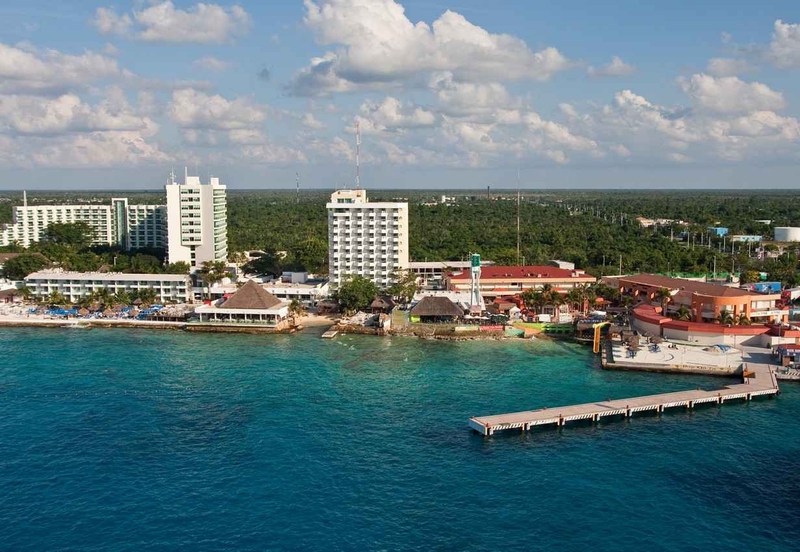 Cozumel’s main attraction is scuba diving and snorkeling. The reef around here is the second largest in the world and Cozumel is recognized as one of the world’s top diving destinations. 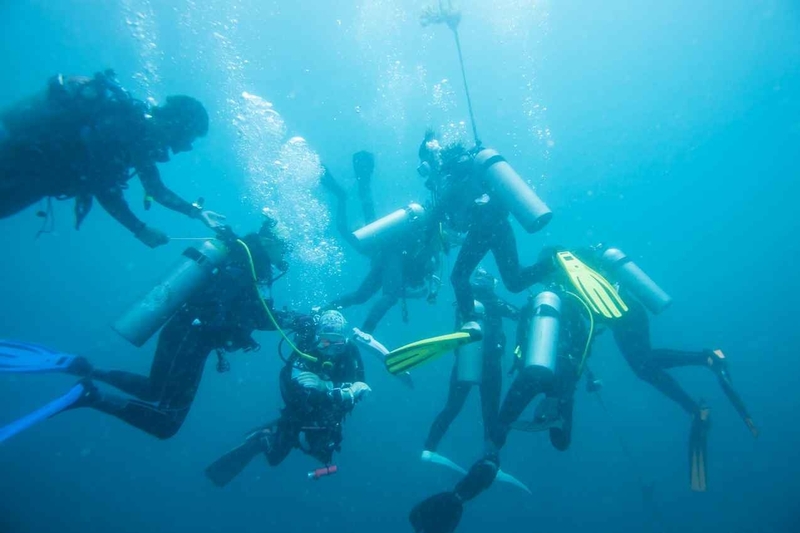 There are loads of different dive shops offering both diving courses and boat dives. It’s mainly ‘drift diving,’ which means that you’re dropped off by a boat and you let the current take you along the reef. Eagle rays, turtles, seahorses, etc. The underwater world reads like a who’s who of cool stuff you want to see. If you can’t scuba dive, then there is some excellent snorkeling on the western side of the island. 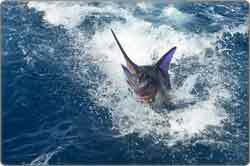 Boat operators also offer snorkeling trips, which is a better experience but more expensive. 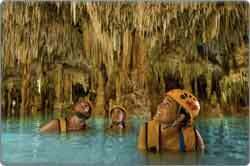 There are loads of different reefs to explore, and some inland cenote diving for experienced cave diving. 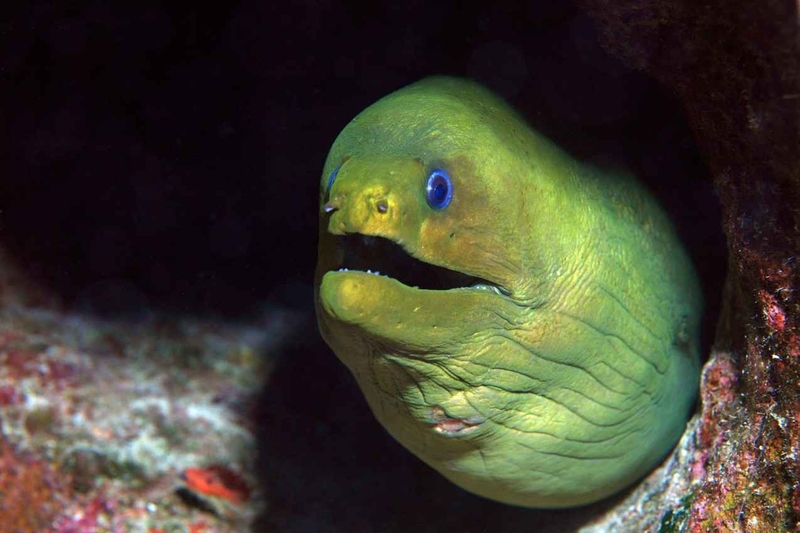 I haven’t dived everywhere in Cozumel, but I’m always asking people which dive sites were best. 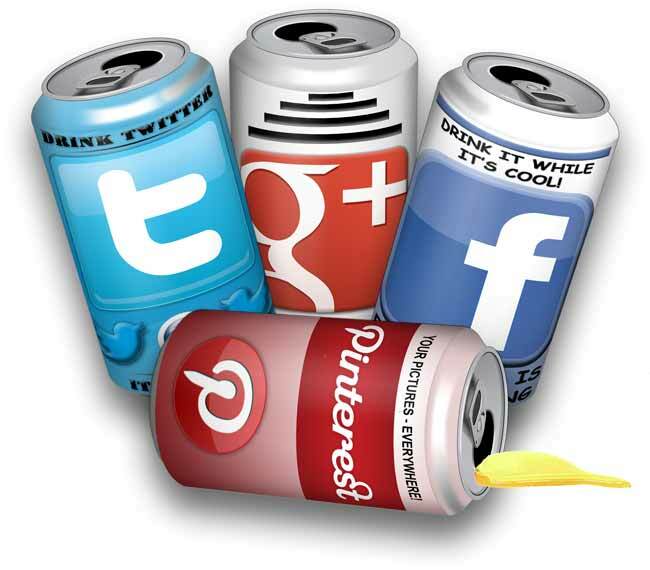 There are three that everybody always raves about with uncontrollable enthusiasm. These are Palancar Reef, Santa Rosa Wall, and Columbia Reef. You don’t have to scuba dive to enjoy Cozumel. The island is surrounded by stunning beaches and ocean. To decide where to go we must first do a quick geography lesson. The wind comes from the east. Or the right as I like to say (I failed geography at school). So the western coastline is protected from the weather and the sea is very calm. But on the east there are pounding waves and some dangerous currents. The west part of the island has been developed so to sunbathe on these beaches you’ll have to enter one of the parks like Paradise Beach. Some of these parks are free as long as you buy a drink. Others charge an entrance fee. If you want to avoid the crowds and be wowed then head past all these beaches to Playa Palancar. It’s on the south of the island and looks like it’s straight from a tropical island brochure. The eastern beaches are beautiful and very quiet. I think they’re more beautiful than the western side. However, it’s very dangerous to go swimming and if the wind picks up there can be a chilly breeze. Also, on weekends the locals hang out on the eastern beaches. Which is great if you want to share a bottle of tequila with someone. But not so good if you want a quiet romantic day with your girlfriend. Thanks to the intense winds, the eastern side of the ocean is a very popular surf and kitesurf destination. I’ll happily admit that these guys are better looking and more talented than me. I won’t even dare attempt the waves on most days. But if you don’t participate it is pretty impressive watching those that know what they’re doing. As I mentioned there are some different parks along the western coastline. Each offers a beach with sun loungers, a fully stocked bar, and some entertaining activities. 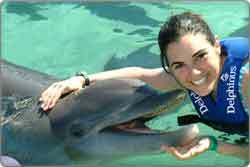 My favorite is the Discover Mexico Cozumel Park. 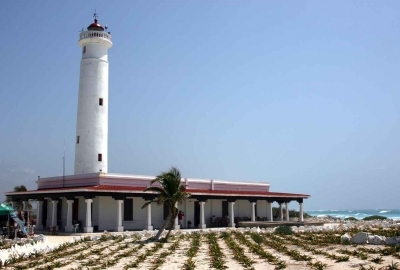 It combines the beach with a strong dose of Mexican history. Isn’t that a bit boring when you just came to sunbathe? Not after you take part in their tequila experience and learn about this drink’s history (and get drunk). 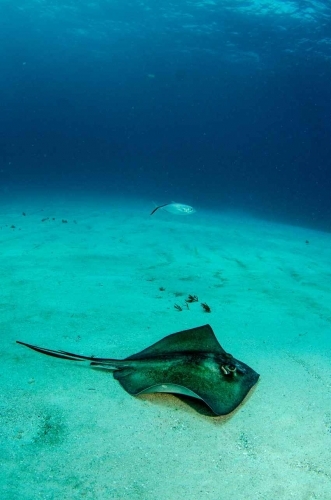 Stingray Beach offers… (surprise)…stingray encounters. It’s a bit family-orientated, but if you want to swim with stingrays then it’s a good choice. 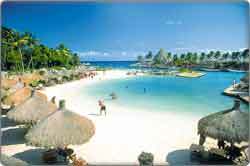 Nachi Cocom Beach Club is the most exclusive and popular with the cruise ship visitors. If you’ve got cash then you’ll find plenty of women here looking for a sugar daddy. Then there are a few different parks that combine a bit of everything. Like Chankanaab National Park and Faro Celerain Eco Park. 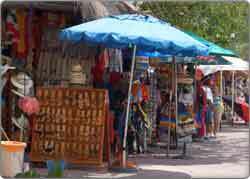 There are over 200 restaurants in Cozumel. All the beach parks have restaurants where you can get food, but it’s overpriced and not the best. There are many better options. If you want a beach snack then my favorite is Andale Beach Bar on the east – check out their peanut butter tequila! It blows your head off. Arguably the best restaurant on the whole island is Buccanos. It’s on the sand just north of San Miguel and the sunset views are stunning. 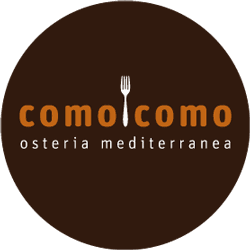 So is the lobster, atmosphere, mojitos, service, and just about everything. For a cheap meal, just take a wander around San Miguel. There are hundreds of little restaurants and cafes to choose from. 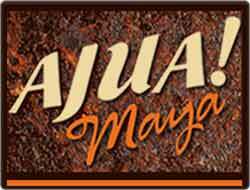 If you’re staying in Playa Del Carmen and want to party on Cozumel, there are two options. Either enjoy some cocktails and sundowners and chill along the beach. Then take the 9pm ferry back. Or…hit San Miguel’s central strip and party and drink and dance and party and drink and dance…until the 6am ferry. 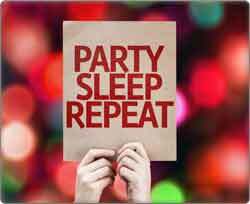 The clubs and bars are open until 5am so as long as you stay awake you shouldn’t have a problem finding anywhere to go. Although it will be much more fun on a weekend when the locals are also partying. Should I Go To Cozumel? 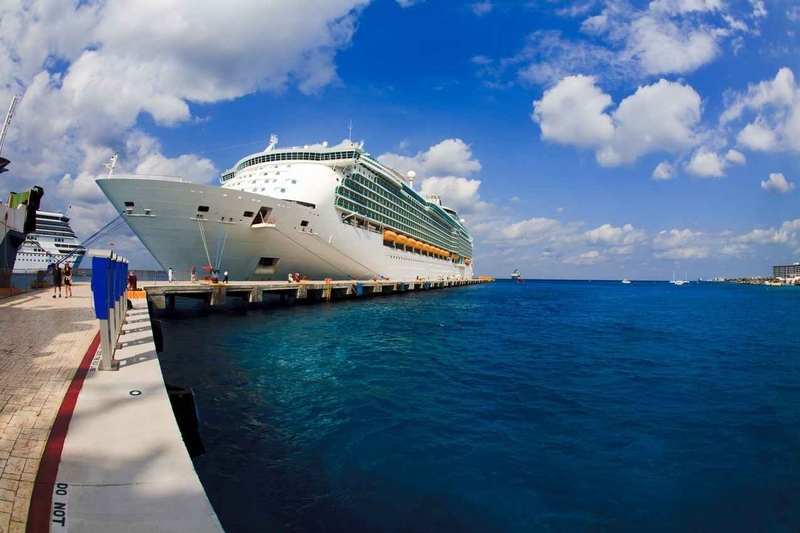 Cozumel is a beautiful island and should definitely be on your itinerary as a day trip. Whether you want to dive, relax, or explore, there are plenty of options to keep you entertained. I can’t believe it took me so long to visit Cozumel. Now it’s your turn! Do you have an amazing story or suggestion about Cozumel to share with us? Please leave it in the comments section below!